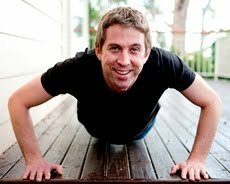 To celebrate the new financial year, Sutherland Shire resident Paul Harvey is starting a 100-day campaign entitled “10,000 push-ups to Crush Slavery” on July 1st to raise awareness about Human Trafficking, Slavery, and Forced Prostitution. You can watch or join Paul doing his fifty push-ups in a suit at 8:30am and another fifty at 12:30am near the MLC Centre in Martin Place every weekday (as weather & council allows), and at assorted locations in Sutherland Shire on the weekend. You can track his progress, learn more about the issue, and join his Facebook cause at http://www.crushslavery.com. In 2005, the International Labour Organization estimated a global annual profit of US$ 44.3 billion from all forms of slavery, and $33.9 billion from commercial sexual exploitation. Human trafficking is second only to drug trafficking as the most profitable illegal industry in the world. With a profit margin of 70% or higher, virtually unlimited demand, and desperate poverty producing an unlimited supply of goods that virtually ship themselves “if you kick ‘em hard enough” - it’s a business model that many find simply too good to refuse. Siddharth Kara’s 2006 research revealed that you can purchase a trafficked girl in Western Europe for an average of US $4 800 (a stunner of course, and already “broken-in” so you’ll get no trouble), then you can earn an average of US $10 570/month by renting out her body. In some countries you can buy a slave for as little as $5. People have become as disposable as paper cups. 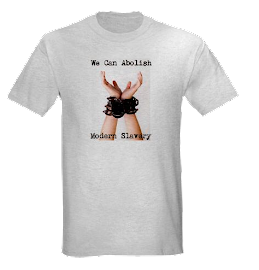 But the good news is that we can eradicate slavery in our lifetime, if we all do our part. The world’s leading expert on slavery, Dr Kevin Bales, outlined a comprehensive 25-year plan to abolish slavery in his book “Ending Slavery”. The book outlines hundreds of practical actions we can make at a personal, business, community & government level.